"When I was a kid, I played a spider in a school play. I sat down next to little Miss Muffit and she slapped me." Spider-Man (Peter Benjamin Parker), is a fictional superhero in the Marvel Comics Universe, created by writer Stan Lee and artist Steve Ditko. 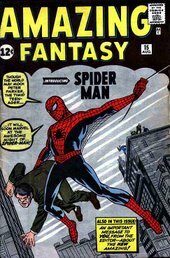 First appearing in Amazing Fantasy #15 (Aug. 1962), he has become, along with Superman and Batman, one of the world's most popular, enduring, and recognizable superheroes. Spider-Man's early stories broke ground by attempting to relate to readers with a teenaged character who is not a sidekick but a hero himself, and who balances his personal struggles with his heroic exploits. Through the years, Spider-Man has appeared in many media, including several animated and live action television series, syndicated newspaper comic strips, and two very successful big-screen films, with a third set to debut in 2007. 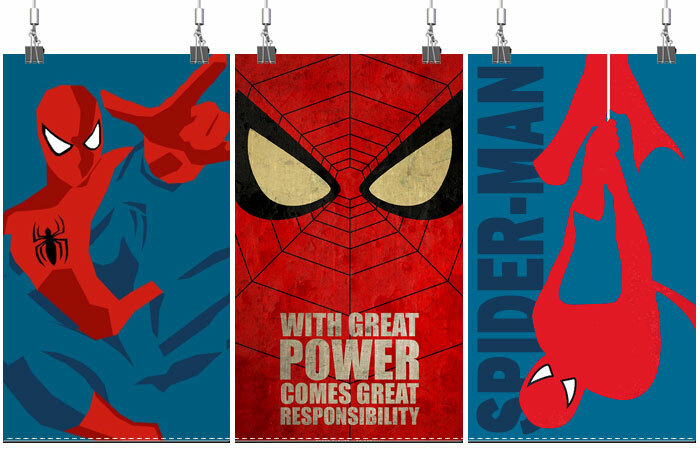 Marvel has published many series featuring the character, the first and flagship title being The Amazing Spider-Man. Peter Parker grows from a shy high school student to a troubled college student to a married professional. Various accounts of the character's creation have been given, with at times, Stan Lee, Steve Ditko (the official creators), Jack Kirby and Joe Simon claiming various degrees of credit for the character's concepts. Peter Benjamin Parker's parents Richard and Mary Parker, CIA and later S.H.I.E.L.D. agents, are killed by Albert Malik, the third Red Skull while infiltrating his criminal organization. The infant Peter Parker is left in the care of his Uncle Ben and Aunt May Parker (Richard's older brother and his wife), who live in the Forest Hills neighborhood of Queens, New York. The aging couple love Peter, but he is unpopular among those his own age. Over time, he grows to be a lonely, timid teenager. The exceptionally bright Peter shows more interest in his studies, especially science, than in any kind of social life. He is often the target of jokes by more popular students like Flash Thompson, the high school's star athlete who later becomes Spider-Man's biggest fan and one of Peter's best friends. Peter attends a science exhibition where he is bitten by a radioactive spider. The spider's bite gives Peter an array of spider-like powers. These powers include the ability to stick to walls and ceilings, super-human strength and agility, and an extra-sensory "spider-sense". Peter sets out to find fame and fortune at first, winning a wrestling match against professional wrestler Crusher Hogan. After a match, Peter allows a robber to escape the TV station after stealing some money, saying that it isn't his problem. He later regrets this decision when he finds out the same robber has killed his Uncle Ben. Realizing that he could have prevented his uncle's death, Peter devotes himself to fighting injustice, driven by his uncle's words, "with great power there must also come great responsibility." This phrase (usually in the modified form "with great power comes great responsibility") subsequently achieved widespread fame. Spider-Man tries to do the right thing, but many authority figures view him with suspicion. Thanks to a continuous smear campaign by J. Jonah Jameson, publisher of The Daily Bugle, many people consider Spider-Man little more than a costumed menace. Ironically, Peter spends much of his life working as a freelance photographer for Jameson, primarily selling photographs of himself as Spider-Man to be used in negative articles and editorials. Spider-Man amasses many enemies, some targeting him as Peter Parker or attacking his loved ones: the Green Goblin kills Peter's girlfriend Gwen Stacy, and Venom threatens to reveal his secret identity. The stresses of Peter's dual identity lead to a separation from his wife Mary Jane Watson, although the couple later reconciles. Mary Jane Watson (left) is a supporting character in the Marvel Comics' Spider-Man series. Created by writer Stan Lee and artist John Romita, Sr., she first fully appeared in The Amazing Spider-Man #47 (April 1967). A gorgeous, green-eyed redhead, she has been the primary romantic interest of Spider-Mans alter ego Peter Parker for the last twenty years, although she initially competed against others for his affection, most prominently Gwen Stacy. Today, Mary Jane is considered an important part of the Spider-Man mythos and has been featured in most other media adaptations of the character. 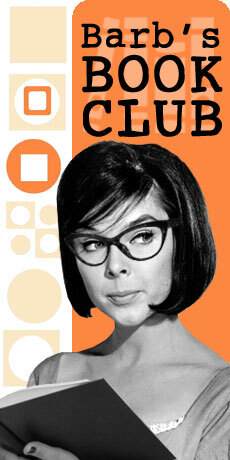 She has even been the main character of some comics and novels aimed at young, female readers. Kirsten Dunst (right) portrayed her in the recent film series. Spider-Man has appeared various in comics, cartoons, movies, coloring books, novels, records, and children's books over the years. On television, he first starred in the ABC animated series Spider-Man (1967-1970). This series is so badly animated it has now risen to cult status among comic fans. In order to be more cost-effective, given the limited budget for the show, Spider-Man's costume for this series only has webbed areas on his head, arms and boots; the rest of his costume is plain (save for the spiders on his chest and back). 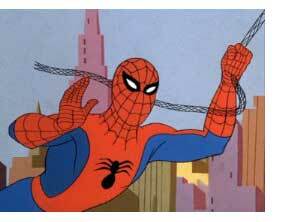 Additionally, the series also relied upon re-used stock animation from one episode to the next, stock animation which included everything from Spider-Man swinging across the New York City skyline, to Peter Parker stripping off his white dress shirt to reveal his spider-suit (and putting on his mask) during his hidden transformations into the costumed superhero. Character movement was also kept to a minimum and was once described as "like a comic book with the mouths moving." Cost cutting and reduced budgets reflected in the cheesy plots and bad animation. The opening credits depicts a scene of robbers burgling a jewelry store. In the first shot, the sign reads "Fine Jewlery." Then in the next shot, it changes to the correct spelling ("Jewelry," US spelling). In the third season, two episodes re-used almost the entire footage from two Rocket Robin Hood episodes as well as remaking previous episodes with minimal changes. In addition, footage from previous episodes was cannibalized almost in their entirety with minimal changes to present essentially the same plots; the episodes featuring The Vulture and The Rhino from the first season were reedited together as single episodes in the later seasons. Mysterio's appearance in the series differed from the first season to the third. In his first appearance, his mask was off periodically, and his head had pointed ears. In his second appearance, his mask and costume were the same as the previous episode, but the mask was never removed. In Season Three's "The Madness of Mysterio," he was never wearing his costume, but he had started carrying a cigarette-holder in his mouth, wore a smoking jacket, his skin was green, and his ears were no longer pointed; while the series' final episode simply reruns Mysterio's standard appearance in "The Return of the Flying Dutchman" episode as part of a clip episode. An error on Spider-Man's costume appeared through Season 1. The spider on his costume (both front and back) was depicted with only 6 legs. By Season 2 new drawings of the costume showed an 8 legged spider, but reused footage from Season 1 maintained season one's error. Bad animation aside, the theme song of the show has become a popular standard. The lyrics were written by Academy Award winner Paul Francis Webster, while the music was composed by Bob Harris. The song's opening line, "Spider-Man, Spider-Man, does whatever a spider can," became almost as synonymous with the character as his costume. The 2002 and 2004 film adaptations have featured characters as buskers performing the song; Jayce Bartok and Elyse Dinh respectively. Both films also feature some version of the song at the very end of the credits: the 2002 adaptation featured the original 1967 recording while the 2004 film had a re-recording by Michael Bublé (also featured on the film's soundtrack). 2007's Spider-Man 3 features a performance of the song by a marching band at a public rally celebrating Spider-Man. 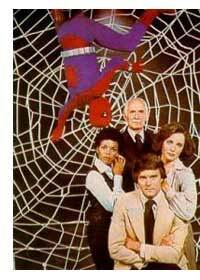 The Amazing Spider-Man was the first live-action TV series based on the popular comic book The Amazing Spider-Man, not counting his appearances on the educational The Electric Company series, and was shown on CBS-TV from 1977-1979. It consisted of 13 episodes, which included a pilot movie in the fall of 1977; five one-hour episodes in the spring of 1978; six one hour episodes aired in the fall of 1978 and winter of 1979; and then a final two-hour episode in the summer of 1979. None of the episodes are available on DVD, but almost all of them have been released on VHS. Despite the series being set in New York City, it was mostly filmed in Los Angeles. At the time The Amazing Spider-Man played on the CBS television network, it was with other live action television series or movies based on the comic book characters. Including The Incredible Hulk, Wonder Woman, Captain America and Doctor Strange. Spider-man fans were highly critical of the series for the changes made to the comic book storyline and the lack of any real "supervillains". To add insult to injury, Spider-Man co-creator Stan Lee disliked the show, and was vocal about his dissatisfaction with it; he once said in an interview that he felt the series was "too juvenile" - a controversial statement given his credit as script consultant on each episode. The Amazing Spider-Man series had solid ratings throughout its run, but the series was expensive to produce and CBS was leery about being labeled the "superhero network" so they canceled the show, in addition to Wonder Woman. However, The Incredible Hulk remained at the network until 1982, with budget cuts, due to it having a broad demographic appeal. In the mid-1980s and early 1990s, two attempts were reportedly made to recreate an Amazing Spider-Man live-action television series. The first one would have had the original cast team-up with the cast from The Incredible Hulk television series. This was part of a plan to have several television movies featuring the Incredible Hulk and various Marvel Comics characters (three had already been aired, the first with Thor, the second with Daredevil, while the announced She-Hulk did not appear in the third). Reportedly, this attempt finally fell through when Hulk star Bill Bixby died of cancer in 1993. A second attempt would have been an entirely new series that died in preproduction because the networks wanted to make Spider-Man into a mutant. 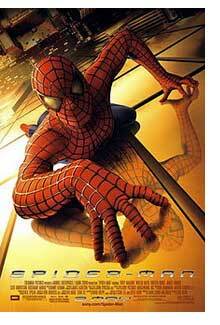 In 2002, Spider-Man finally made it to the big screen directed by Sam Raimi and written by David Koepp. Based on the fictional Marvel Comics character Spider-Man, the film stars Tobey Maguire as Peter Parker, a high-school student who turns to crimefighting after developing spider like powers. Spider-Man also stars Willem Dafoe as Norman Osborn (a.k.a. the Green Goblin), Kirsten Dunst as Peter's love interest Mary-Jane Watson, and James Franco as his best friend Harry Osborn. After being stuck in development hell for nearly 25 years, the film was licensed for a worldwide release by Sony Pictures Entertainment in 1999 after it acquired options from M-G-M on all previous scripts developed by Cannon Films, Carolco and New Cannon. Exercising its option on just two elements from this multi-script acquisition (a screenplay credited to James Cameron, Ted Newsom, John Brancato, Barney Cohen and "Joseph Goldman" (pen name of Menahem Golan) and a later treatment credited solely to Cameron), Sony hired David Koepp to create a working screenplay from this "Cameron material." Directors Roland Emmerich, Tim Burton, Chris Columbus, and David Fincher were considered to direct the project before Raimi was hired as director in 2000. The Koepp script was rewritten by Scott Rosenberg during preproduction and received a dialogue polish from Alvin Sargent during production. Filming took place in California and New York City from January to June 2001. Spider-Man was released on May 3, 2002, and became a critical and financial success. With $821.71 million worldwide, it was 2002's third-highest-grossing film. The film tells the Spider-man orgin story. High school senior Peter Parker (Tobey Maguire) lives in Forest Hills, a quiet suburban neighborhood in the New York City borough of Queens, with his Uncle Ben (Cliff Robertson) and Aunt May (Rosemary Harris). He secretly loves Mary Jane Watson (Kirsten Dunst), a warm-hearted girl next door, but he is too shy to approach her. His best friend Harry Osborn (James Franco) is the son of Dr. Norman Osborn (Willem Dafoe), president of the Oscorp manufacturing corporation, which is working to win a contract to supply weapons to the United States Army. On a field trip to a genetics laboratory, Peter is bitten by a genetically engineered spider. He passes out in his bedroom at home, and the next day his vision is perfect, he has become more muscular with superhuman strength, his wrists emit web strings, and his reflexes are super-quick. At school, he saves Mary Jane from a split-second fall and easily defeats her bullying boyfriend Flash Thompson (Joe Manganiello) in a fistfight. Realizing that the spider's bite has given him spiderlike powers, he trains himself to scale walls, jump between rooftops, and swing through the city. Peter enters a wrestling tournament, hoping to win $3,000 so he can buy a sports car to impress Mary Jane. On the day of the tournament, Ben tries to give him some fatherly advice, but Peter lashes out at him. At the tournament, the announcer presents Peter as "The Amazing Spider-Man". Peter easily defeats his opponent, Bonesaw McGraw (Macho Man Randy Savage), but the man in charge only gives Peter $100 for winning the match early. When a thief robs the man, Peter takes his revenge by allowing the robber to escape. Later that night, Peter finds out that his Uncle Ben was carjacked and shot. As his uncle dies, Peter learns of the thief's whereabouts through the police radios and a chase ensues. Peter catches up with the thief, only to learn a horrifying discovery. The man who seemingly killed his uncle is revealed to be the same man who robbed the wrestling arena earlier (who Peter let escape). If Peter stopped him earlier, his uncle might still be alive. Feeling responsible for Ben's death, and feeling guilty for rejecting his advice, Peter dedicates himself to fighting crime as Spider-Man always remembering Uncle Ben's words, "With great power comes great responsibility." Spider-Man 2 is the sequel to the 2002 film Spider-Man, it is the second film in Sam Raimi's Spider-Man film trilogy based on the fictional Marvel Comics character of the same name. Tobey Maguire, Kirsten Dunst, and James Franco reprise their roles as Peter Parker, Mary Jane Watson, Harry Osborn, respectively. The film was written by Alvin Sargent from a story by Alfred Gough, Miles Millar, and Michael Chabon. Set two years after the events of Spider-Man, the film focuses on Peter Parker struggling to manage both his personal life and his duties as Spider-Man. Dr. Otto Octavius (Alfred Molina), who takes a turn for the diabolical following a failed experiment and the death of his wife. Using his mechanical tentacles, Octavius is dubbed "Doctor Octopus" and threatens to endanger the lives of the people of New York City. Spider-Man must stop him from annihilating the city. Spider-Man 2 was released in both conventional and IMAX theaters on June 30, 2004 and received extremely positive reviews. It grossed over $783 million worldwide, and won the Academy Award for Best Visual Effects. It also received five awards at the Saturn Awards ceremony including Best Fantasy Film and Best Director for Raimi, and frequently ranks among the best superhero films of all time. Bruce Campbell cameos as an obnoxious usher who denies Peter access to Mary Jane's play when he is late, thus causing a rift in their relationship. Spider-Man's co-creator Stan Lee cameos as a man on the street who saves a woman from falling debris during a battle between Spider-Man and Doc Ock. Evil Dead II co-writer Scott Spiegel appears as a man who attempts to eat some pizza Spider-Man is delivering, only to have it webbed from his hands. Joel McHale appears as the teller in the bank who refuses Aunt May's loan. Hal Sparks appears as the elevator passenger who has a conversation with Spider-Man. Comedian Donnell Rawlings appears as the New Yorker who exclaims that Spider-Man stole "some guy's" pizza. Bones star Emily Deschanel appears as the receptionist who tells Parker she isn't paying for the late pizza. The Daily Show correspondent Aasif Mandvi appears as Mr. Aziz, the pizza store owner who later dismisses Parker. Actor Joey Diaz appears as a train passenger who tells Doctor Octopus that he has to get past him to get to Spider-Man. Actress Vanessa Ferlito appears as one of Mary Jane's co-stars. Model/Actress Joy Bryant makes a cameo appearance as a spectator that witnesses Spider-Man in action. Director John Landis also appears briefly as one of the doctors who operates on Doctor Octopus. Actor Phil LaMarr also appears as a train passenger who is most easily seen to the right of Spider-Man when he's holding two webs to slow the train down. Spider-Man 3 (2007) was directed by Sam Raimi and scripted by Sam and Ivan Raimi and Alvin Sargent. 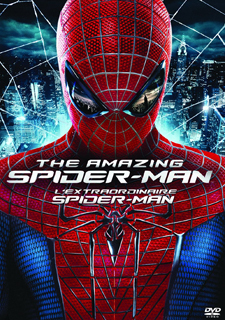 It is the third and final film in the Sam Raimi Spider-Man trilogy. The film stars Tobey Maguire, Kirsten Dunst, James Franco, Thomas Haden Church, Topher Grace, Bryce Dallas Howard, Rosemary Harris, J.K. Simmons, James Cromwell and Cliff Robertson in his final film appearance. Set months after the events of Spider-Man 2, while Peter Parker basks in his success as Spider-Man, Mary Jane Watson continues her Broadway career. Harry Osborn still seeks vengeance for his father's death, and an escaped convict, Flint Marko, falls into a particle accelerator and is transformed into a shape-shifting sand manipulator. An extraterrestrial symbiote crashes to Earth and bonds with Peter, influencing his behavior for the worse. When Peter abandons the symbiote, it finds refuge in Eddie Brock, a rival photographer, causing Peter to face his greatest challenge. 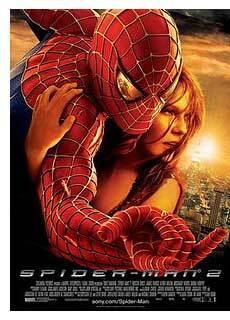 Spider-Man 3 premiered on April 16, 2007 in Tokyo, and released in the United States in both conventional and IMAX theaters on May 4, 2007. 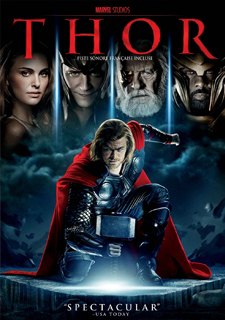 Although the film received mixed to positive reviews (too many storylines) from critics, in contrast to the highly positive reviews of its predecessor, it stands as the most successful film in the series worldwide, Marvel's second most successful film after The Avengers, and Sony Pictures Entertainment's highest grossing film to date. Spider-Man co-creator Stan Lee has a cameo in Spider-Man 3, as he does in many Marvel based films. In the film, he plays a man who, after reading a news bulletin along with Peter, tells him "You know, I guess one person can make a difference," followed by his catch phrase "Nuff said." Actor Bruce Campbell, who had cameo roles as a wrestling ring announcer in Spider-Man and as a rude usher in Spider-Man 2, returns in Spider-Man 3 with a new cameo as a French maître d'. His character helps Peter try to propose to Mary Jane. Composer Christopher Young appears in the film as a pianist at Mary Jane's theater when she is fired, while producer Grant Curtis has a cameo as the driver of an armored car that the Sandman attacks. Comedian Dean Edwards played one of the newspaper readers who badmouth Spider-Man. 75-year-old newscaster Hal Fishman. In 2007, Spider-Man 4 entered development, with Raimi attached to direct and Maguire, Dunst and other cast members set to reprise their roles. Both a fourth and a fifth movie were planned and at one time the idea of shooting the two sequels concurrently was under consideration. However, Raimi stated in March 2009 that only the fourth film was in development at that time and that if there were fifth and sixth films, those two films would actually be a continuation of each other. 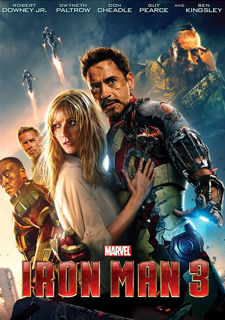 James Vanderbilt was hired in October 2007 to pen the screenplay after initial reports in early 2007 that Sony Pictures was in contact with David Koepp, who wrote the first Spider-Man film. The script was subsequently rewritten by Pulitzer-winning playwright David Lindsay-Abaire and rewritten again by Gary Ross in October 2009. 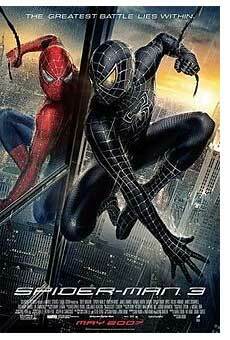 Sony also engaged Vanderbilt to write scripts for Spider-Man 5 and Spider-Man 6. In 2007, Raimi expressed interest in portraying the transformation of Dr. Curt Connors into his villainous alter-ego, the Lizard; the character's actor Dylan Baker and producer Grant Curtis were also enthusiastic about the idea. It was reported in December 2009 that John Malkovich was in negotiations to play Vulture and that Anne Hathaway would play Felicia Hardy, though she would not have transformed into the Black Cat as in the comics. Instead, Raimi's Felicia was expected to become a brand-new superpowered figure called the Vulturess. Sony Pictures announced in January 2010 that plans for Spider-Man 4 had been cancelled due to Raimi's withdrawal from the project. Raimi reportedly ended his participation due to his doubt that he could meet the planned May 6, 2011 release date while at the same time upholding the film creatively. Raimi purportedly went through four iterations of the script with different screenwriters and still "hated it". 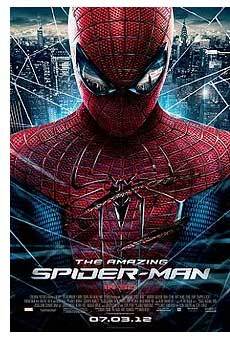 Directed by Marc Webb, The Amazing Spider-Man (2012) is a reboot of the Spider-Man film franchise, portraying the character's origin story and his development into a superhero while a high school student. The film stars Andrew Garfield in the title role, with Emma Stone as Gwen Stacy and Rhys Ifans as Dr. Curt Connors. Development of the film began with the cancellation of Spider-Man 4 in 2010, ending director Sam Raimi's Spider-Man film series that had starred Tobey Maguire, Kirsten Dunst and James Franco. Opting to reboot the franchise with the same production team, Sony Pictures Entertainment announced a July 2012 release date for The Amazing Spider-Man. James Vanderbilt was hired to write the script while Alvin Sargent and Steve Kloves helped fine-tune it. Pre-production involved auditioning many actors for the roles of Parker and Stacy. New designs were introduced from the comics such as artificial web-shooters. Using Red Digital Cinema Camera Company's RED Epic camera, principal photography started in December 2010 in Los Angeles before moving to New York City. The film entered post-production in April 2011. 3ality Technica provided 3D image processing, Sony Imageworks handled CGI and James Horner crafted the film score. Sony Entertainment built a promotional website, released three trailers and launched a viral marketing campaign, among other moves. Tie-ins included a video game by Beenox. The film premiered on June 13, in Tokyo and was released in the United States on July 3 in 2D, 3D and IMAX 3D. 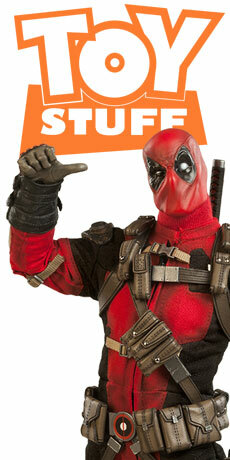 Critical reaction was generally positive, with a 74% "certified fresh" score from review aggregator Rotten Tomatoes. The film was a success financially; one of the highest grossing reboots and the third highest grossing film in 2012, although not matching its predecessors. The first sequel was set for release on May 2, 2014.